ATV riders discovered wooden boards with nails in them placed on ATV trails in the Warren area of New Hampshire. 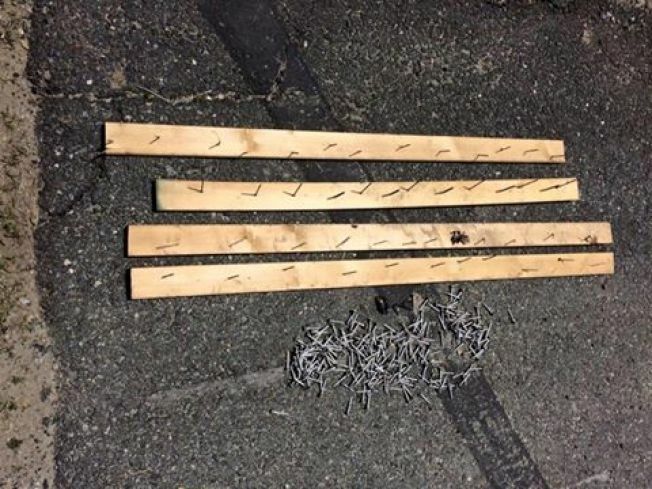 According to the New Hampshire Fish and Game Law Enforcement Division and Operation Game Thief's Facebook page, a large amount of nails and broken glass were found in the same area as the boards. Fortunately, the boards, nails and glass were removed before anyone was injured. If you have any information related to the incident that could lead the Fish and Game Officers to the persons responsible for placing these items on the trail, please contact New Hampshire Fish and Game at (603) 271-3361.